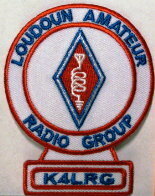 The Loudoun Amateur Radio Group of Loudoun County in Northern Virginia, founded in July 1993, is a family oriented club with a wide variety of activities and interests including public service, emergency communications support, high altitude balloon radio, camera and video flights, fox hunts, contesting and DX-ing. Our premier events are the annual K4LRG operation in the June ARRL Field Day, the Reston Century Ride Operation in August, and the Lovettsville Oktoberfest in September. We are an affiliated club of the American Radio Relay League and many of our members support the Amateur Radio Emergency Service of Loudoun County. 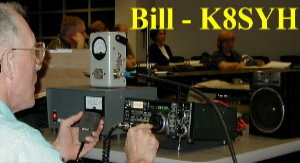 We encourage advancement in the art of amateur radio communications and offer several training courses each year. LARG members regularly participate in domestic and international radio contests and are among the best, having won many club and individual awards, including Commonwealth high scores in the Virginia QSO Party. WA4TXE Repeater on 146.700 MHz from 6:30 to 8:00 AM and again at 4:30 to 6:30 PM. at the "Emergencies, Public Service and Relations" link tabs above.